all the grease just not as healthy. I’m continuing on my eat clean and eat at home diet. I got Bolilio whole wheat rolls, fresh mozzarella, cheddar, colby, Monterey Jack block cheeses, pesto, marinara, olive oil, basil and pineapple! 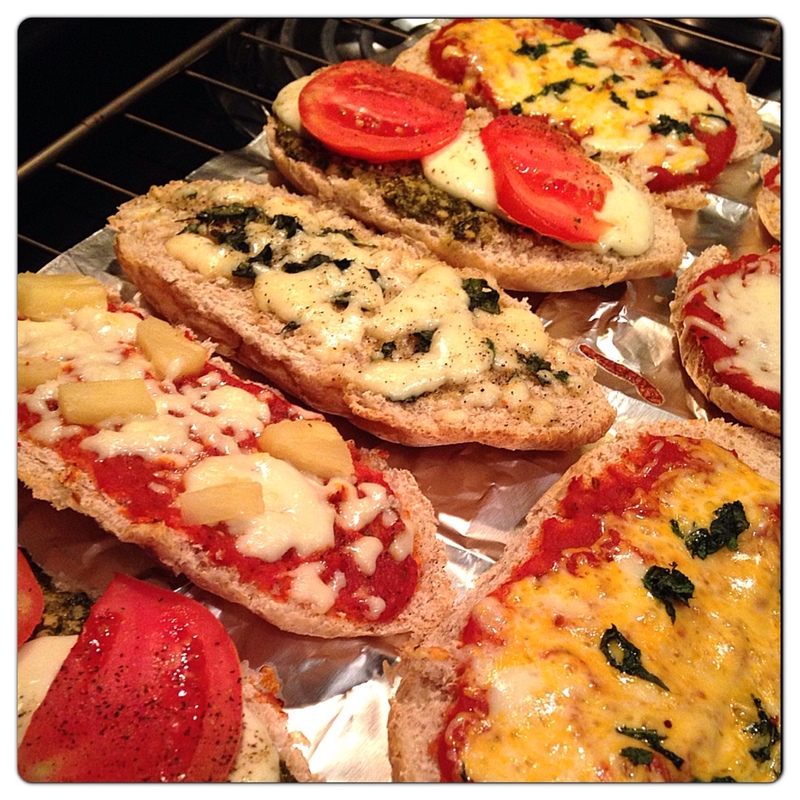 I made all different pizzas so we could mix and match for dinner. My daughter, hubby, and I enjoyed this. Hope you try and enjoy !! !